A new study shows that a neurologist in an office thousands of miles away can deliver effective specialized care to people with Parkinson’s disease. For individuals with the condition – many of whom have never seen a specialist – these “virtual house calls” could allow them to live independently while effectively managing the symptoms of the disease. The study was supported by the Verizon Foundation, Medtronic, and the patient networking website PatientsLikeMe. More than 40 percent of people with Parkinson’s disease do not see a neurologist, placing these individuals at greater risk for poor health outcomes. For example, people with the disease who do not see a specialist are 20 percent more likely to fall and fracture a hip, 20 percent more likely to end up in a skilled nursing facility, and 20 percent more likely to die. Geography is often a determining factor in whether a person with Parkinson’s sees a specialist. Neurologists with training in movement disorders like Parkinson’s disease tend to be concentrated in major academic medical centers. Additionally, the nature of the disease – particularly the impact on movement, balance, and coordination – can make a long trip to the doctor’s office unfeasible. “We have an ample supply of neurologists in the country to take care of people with Parkinson’s, but because of distance, disability, and the distribution of doctors, many patients have a difficult time seeing a specialist,” said Dorsey. Working with PatientsLikeMe, the study invited individuals with Parkinson’s who lived in the five states where Dorsey is licensed to practice medicine – California, Delaware, Florida, Maryland, and New York – to receive one free telemedicine consultation in the comfort of their own home. The participants downloaded secure web-based video conferencing software developed by California-based Vidyo. 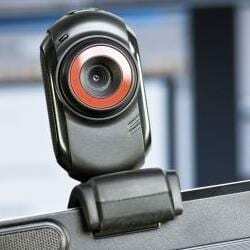 The technology, which is akin to Skype, only requires an Internet connected computer and a webcam. Using this system, Dorsey saw more than 50 people with Parkinson’s disease, ranging from individuals who were getting a third opinion to those that were seeing a neurologist for the very first time. Virtually all of the visits resulted in treatment recommendations, including increasing exercise (86 percent), changes in current medications (63 percent), the addition of new medications (53 percent), and discussions about potential surgical options (10 percent). Patient satisfaction with the telemedicine care exceeded 90 percent. Parkinson’s disease particularly lends itself to telemedicine because many aspects of the diagnosis and treatment of the disease are “visual” – meaning that the interaction with the doctor primarily consists of observing the patient perform certain tasks such as holding their hands out and walking and listening to the patient’s history. The authors contend that this approach could also be applied to a number of other chronic conditions, from autism to Alzheimer’s disease, from diabetes to congestive heart failure. Collectively, chronic conditions affect over 140 million Americans and are responsible for 84 percent of health care expenditures. While demonstrably effective, one of the key barriers to the wider adoption of this approach is the fact that Medicare does not pay for telemedicine care provided to people in their homes. Also, out-of-state physicians are barred from providing remote care to patients in many states. These barriers prevent the potential savings – both in terms of cost and time – that can be realized by care delivered via telemedicine. A previous URMC study showed that not only did telemedicine visits cost less than providing care in a traditional setting such as a clinic or a hospital, but the virtual house calls saved patients an average of more than three hours and 100 miles of travel per visit when factoring in travel to and from the doctor’s office. April 17, 2019 - How do doctors feel about telemedicine? BenefitsProTwo studies highlight the challenges and opportunities for medical professionals implementing telemedicine. April 12, 2019 - Lawsuit Challenges Indiana's Ban on Telemedicine for Eye Exams mHealthIntelligence.comA telehealth company that offers online eye tests has filed a lawsuit challenging Indiana's ban on the use of telemedicine for eye exams. March 22, 2019 - For Telemedicine to Change Health Care, We Need to Change How we Pay Doctors Barron'sMedicare and Medcaid don't pay doctors enough for providing telehealth services.